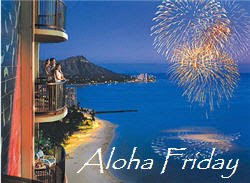 In Hawaii, Aloha Friday is the day they take it easy and look forward to the weekend. 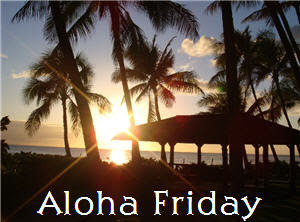 So I thought that on Fridays I would participate and take it easy on posting, too. Therefore, I’ll ask a simple question for you to answer. Nothing that requires a lengthy response. 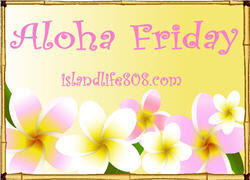 If you’d like to participate, just post your own question on your blog and leave your link at An Island Life. Don’t forget to visit the other participants! It’s a great way to make new bloggy friends! What is your favorite recent movie? Are you actually going out to a restaurant for Valentine’s Day? If not what are your preparing for your honey at home? Today’s question is: Does anyone in your family eat liver, liverwurst or braunschweiger? Today’s question is: Do use a weekly or monthly menu plan? Have you ever heard of Saint Joseph or sold a house utilizing this belief? Is there really too much of a good thing? What is your favorite Italian Food/Sauce? or are you planning a “staycation”? TODAY’S QUESTION: Do you like your drivers license photo? TODAY’S QUESTION: I built this awesome time machine! If you could go back in time and tell yourself just one thing, what would it be and why?